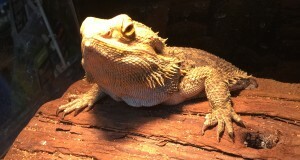 The value of UVB light to heliothermic (basking) reptiles has long been known. Less well understood is the role of UVA light and how, in our attempts to provide reptile pets with light and heat, we often wind up affecting another of their critical needs: adequate air flow. Today I’d like to provide some suggestions as to how we might effectively manage these three elements to provide our reptiles with healthy environments. 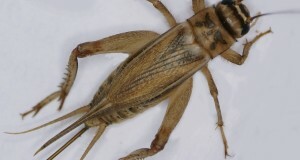 By basking under UVB light rays with a wavelength of 290-315 nanometers, many lizards, turtles and crocodilians synthesize Vitamin D3 in their skin. Vitamin D3 allows these animals to utilize dietary calcium. Without D3, dietary calcium is not metabolized and metabolic bone disease soon sets in. Snakes, aquatic turtles and certain others can make use of dietary Vitamin D, but most species that bask must synthesize it in their skin. While mercury vapor bulbs , the Zoo med 10.0 bulb and some others provide useful levels of UVB, nothing can replace natural sunlight. Measurements taken outdoors in the tropics (northern Australia) yield UVB readings of 450 microwatts/sq. centimeter…most florescent bulbs emit 13-35 mw/sq. cm. Recent research indicates that chameleons and perhaps other reptiles can sense UVB levels (please see article below) and so may bask longer in captivity, but it is essential that we use a UVB meter to measure our bulbs’ output. Recent research has shown that UVA radiation (wavelength 320-400 nanometers) promotes natural behavior, reproduction and the establishment of circadian rhythms (internal “clocks”). UVA also affects how and what reptiles see. Female desert iguanas, for example, cannot see the chemical trails laid down by males in the absence of UVA, and hence rarely reproduce unless exposed to it. 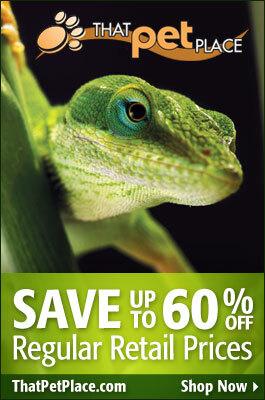 UVA bulbs are available, but we know little of the actual needs of most reptiles. Indoor glass terrariums with screen tops serve well in rendering heat and UV radiation readily available. However, air circulation in such situations is restricted, creating an unhealthy situation for many animals. Amphibians, chameleons and arboreal snakes from humid environments (i.e. green tree pythons and emerald tree boas) present special challenges. The humidity they require can be supplied by foggers or via misting, but severe health issues arise if air flow is limited. I still have a letter written to me in 1967 by famed herpetologist Wayne King, regarding blister disease in a northern watersnake. Despite being highly aquatic, my pet needed air circulation and a dry basking site in order to remain healthy. Screen cages provide an ideal way to address each of the aforementioned concerns. While glass and plastic filter out beneficial UV radiation, screen cages allow UVB and UVA to enter. Being well-ventilated, they also offer excellent air circulation. Screen cages can, if protected from predators, be utilized as permanent outdoor enclosures. Even the largest models are very light in weight, and may be carried outdoors to provide periodic sunning opportunities. In some cases, the cages can even be positioned in an open window…my friend does this for his water dragon, which is often seen perched in the sun 14 floors above West 23rd Street in Manhattan! Screen terrarium top enclosures added onto glass terrariums present a unique solution to those with limited space. Please see my article Chameleon Behavior is Affected by Vitamin D3 Needs for insights into emerging research on reptile basking behaviors. Hello Frank. My 7 in. Painted Turtle has white stringy material on its hind claws. The remainder of the turtle appears health. I assume this if fungus. The tank is well maintained, so I think. What are common causes for this and should I treat this with a fish anti fungal? What do you recommend?